Trick or treaters and costumed revelers moved in a throng through downtown Greenville Thursday evening. Candy was given away by representatives of a number of downtown businesses including The Daily Advocate. For more photos from the parade, visit www.facebook.com/advocate360. 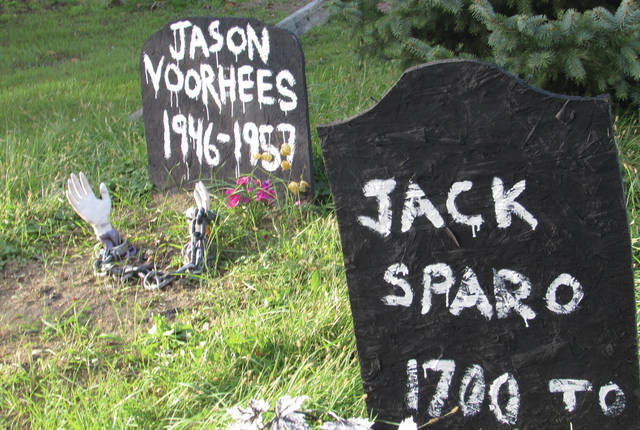 Darke County Center for the Arts has planned a Ghost Walk in Greenville Union Cemetery for Halloween night. 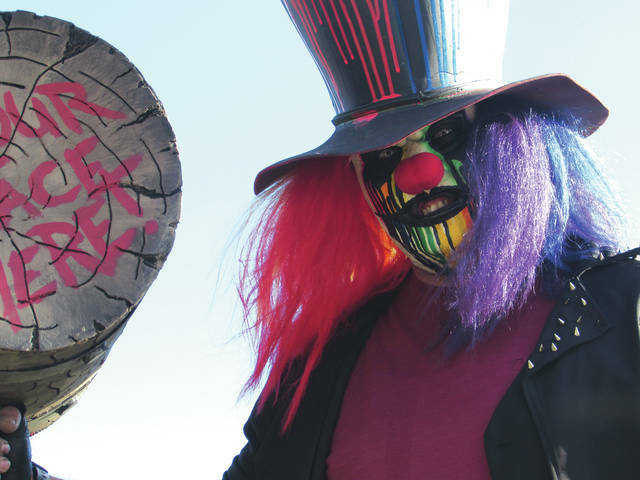 The Darke County Steam Threshers presented the final weekend of its Massacre Mill Haunted Trail in Ansonia, featuring signature character Mad Splatter (pictured). Dana Widener and family offered a free haunted house in Rossburg on Saturday evening. GREENVILLE – Darke County residents enjoyed a number of Halloween-themed activities over the weekend including a parade and trick or treating in downtown Greenville, the Darke County Center for the Arts’ annual Downtown Ghost Walk and an interactive murder mystery event at Greenville Public Library. 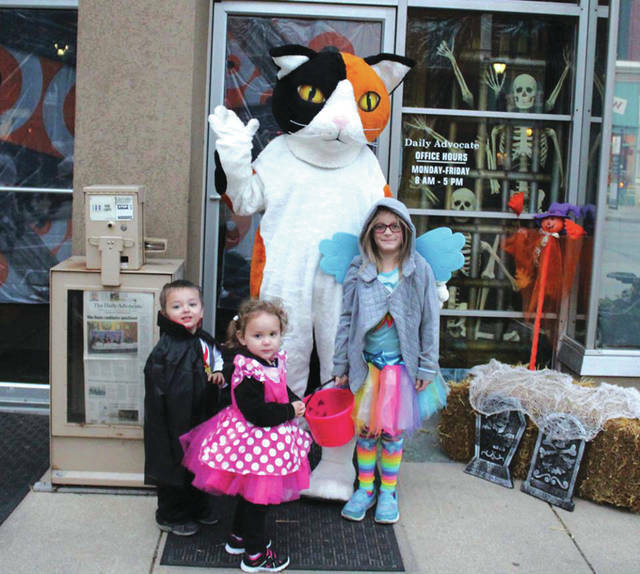 Portions of South Broadway Street were closed Thursday evening as trick or treaters and costumed revelers moved in a throng through downtown. Candy was given away by representatives of a number of downtown businesses, including The Daily Advocate. Meanwhile, on Friday evening the library hosted a free activity titled “Murder in the Stacks: A Clue-themed Mystery Event.” The activity was organized by Young Adult Programming Specialist Amanda Olson. Snacks, props and photo ops also were made available. At least two local haunted attractions celebrated their last weekend of operation in 2018. Dana Widener and family offered a free haunted house in Rossburg on Saturday evening while the Darke County Steam Threshers presented the Massacre Mill Haunted Trail in Ansonia. Finally, Darke County Center for the Arts hosted its annual Ghost Walk on Friday, Saturday and Sunday evening. The walks began at St. Clair Memorial Hall and covered many of downtown Greenville’s allegedly haunted sites, including the library, which has been investigated twice by author and paranormal researcher James Willis; the courthouse, which is reportedly home to the ghost of a long-executed murderess; and the old Wayne Theatre, which was allegedly plagued by unaccountable technical difficulties and equipment malfunctions during its years of operation. DCCA event coordinators planned to host a new Ghost Walk in Greenville Union Cemetery on Sunday, but the activity was cancelled due to inclement weather. 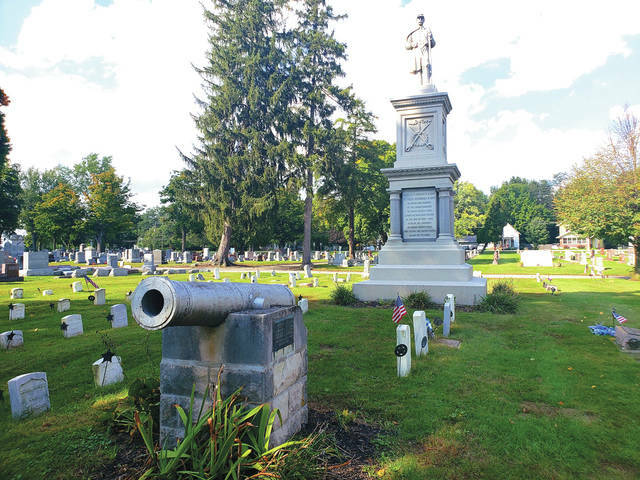 Another cemetery walk is scheduled for at 6 p.m. Halloween night, Wednesday. “These stories can give you chills, but are still not too scary for children old enough to enjoy a long walk in the dark,” DCCA Executive Director Andrea Jordan said. This entry was tagged Ansonia, cemetery, Darke County Center for the Arts, Darke County Steam Threshers, DCCA, Ghost Walk, Greenville, Greenville Public Library, Greenville Union Cemetery, Halloween, Haunted house, library, Massacre Mill, Massacre Mill Haunted Trail, Rossburg, St. Clair Memorial Hall, Steam Threshers, Trick or treat, Wayne Theatre. Bookmark the permalink.